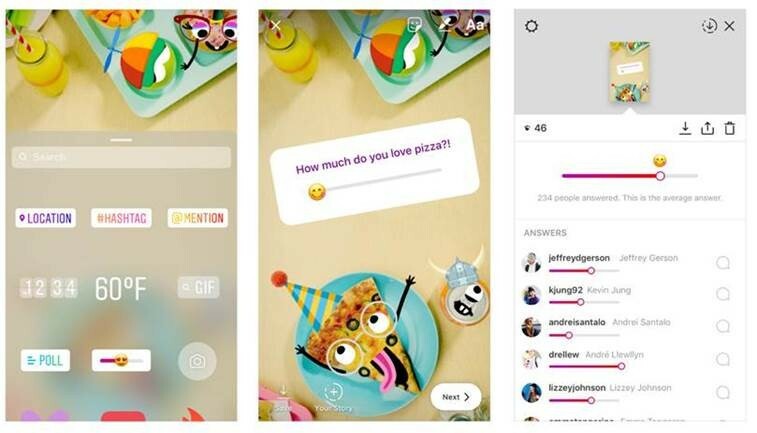 Today, Instagram has officially launched the emoji slider sticker — a fun new way to interact with your friends on Instagram. The emoji slider lets you ask more nuanced questions when you want to find out how your friends feel about something — like how hot an artist’s new single is or how hot they like their food. To add an emoji slider sticker to your story, select it from the sticker tray after taking a photo or video. Place it anywhere you’d like and write out your question. You can pick from a few of the most popular emoji, or choose almost any emoji from your library if you have something specific in mind. Like with the poll sticker, friends and followers will be able to respond to your slider as soon as you’ve shared it. When you see an emoji slider in a story, just drag the emoji to the left or right and watch it animate as you make your decision. Release the emoji to set your response, and you’ll see the current average of how others have responded so far. Whether you’re looking for input or just want to see who’s around, interactive tools like the poll sticker and emoji slider help you get closer with your friends and followers. Check out the Instagram Help Center to learn more about the emoji slider sticker. Today’s updates are available as part of Instagram version 44 in Apple’s App Store and Google Play.